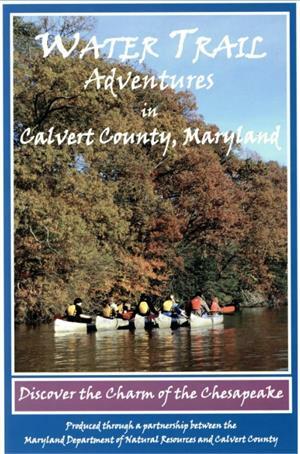 This map and guide depicts six paddling routes in Calvert County including routes along the Chesapeake Bay, Patuxent River, St. Leonard Creek, Cocktown and Caney Creeks. The water trails were developed though a partnership between Maryland DNR, Calvert County and several other partners. The guide features colorful maps and information on launch sites and support facilities such as restrooms, picnic areas and parking. Produced in 2018, this map and guide is printed on durable, waterproof / tear-proof paper.